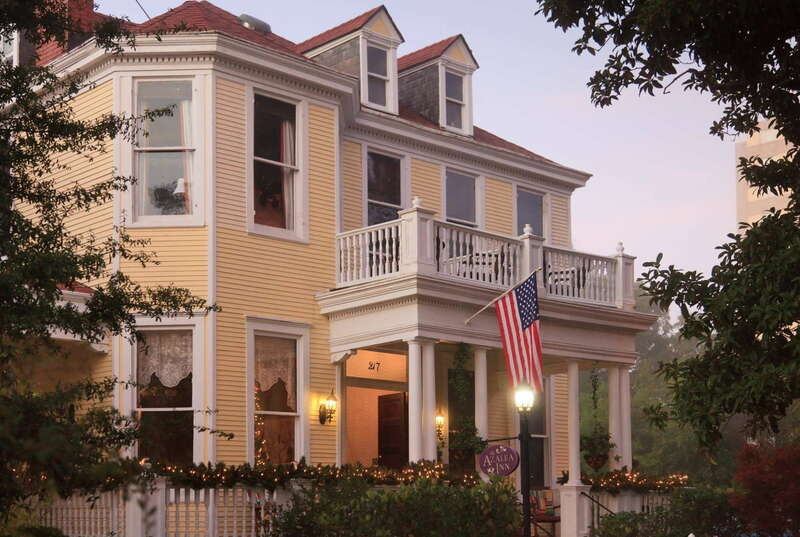 Expect a hospitable ambiance, a wonderful breakfast, and afternoon wine service at this 1889 mansion built for a Cotton Exchange tycoon. It has multiple fireplaces, verandas with overhead fans and wicker furnishings, and a mural in the dining room that brings history to the table. Enjoy the lush, subtropical gardens that surround the pool. If you don't get enough to whet your whistle at the evening social, you have 24-hour access to a wine and beverage refrigerator. The Forsyth Park neighborhood, near Gaston Street, offers quiet surroundings adored by the residents—and guests. YOU SHOULD KNOW Younger guests must be 14 or older. There are several different options among the 10 rooms/suites and 3 villas. 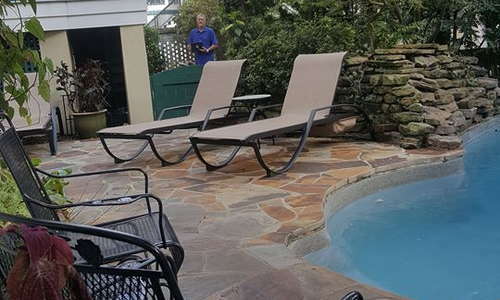 Prices range from around $200 to $500 per night depending upon the size of the quarters. All rooms and villas are distinctly high-end, many of which have been recently renovated. Many have private decks. The bathrooms, like the bedrooms and living quarters, are all beautifully maintained, but with modern hardware and fixtures. Custom bath products and robes complete the luxury experience. Several room options offer large soaking tubs. After the picturesque front porch, the entrance to the property soon leads guests into the sitting and dining rooms which make up the bulk of the main floor. Soft antique seating and a gorgeous long antique dining table steal the show. 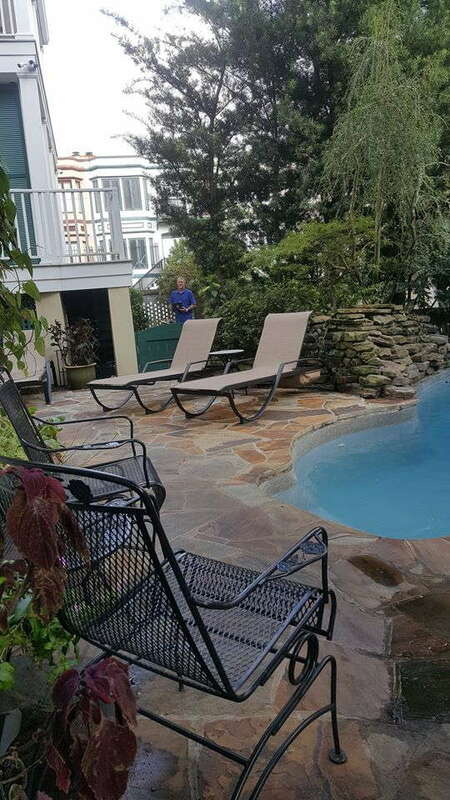 A small, well-maintained outdoor pool is nestled in the outdoor common area. Lounge chairs and table seating sit off to the side. The breakfast crosses the line from the usual B&B experience to the quality of a fine dining restaurant. The seasonal menu is too vast to describe here, but past dishes have included honey-thyme roasted plums with crème fraîche and buttermilk pecan pancakes, and cheese blintz crepes, fresh berries drizzled with raspberry sauce and bacon. Breakfast in bed is available upon request. YOU SHOULD KNOW Share any dietary restrictions when booking your reservation. The dishes served are creative and contain seasonal ingredients that require planning. Evening socials with fine wine pairings occur nightly. Alcoholic beverages, including house wine, are available upon request. Cuoco Pazzo Cucina Italiana (2-minute walk) offers ample outdoor and indoor seating and an extensive traditional Italian menu. On a pretty day, try your hand on their bocce ball court. 700 Drayton (3-minute walk) is a local hotspot for creative upscale dining in a dramatic setting. The seafood is always mouth-watering and fresh, and the wine list is one of the best in town. Into the rooftop bar action? Perch (11-minute walk) is the mid-scale rooftop bar over Local 11 Ten Food & Wine. The tree-canopied surroundings are almost as intoxicating as the craft cocktails. In addition to expertly mixed cocktails and live jazz and blues, Casimir's Lounge (5-minute walk) offers delightful panoramas of Forsyth Park, the largest and most active in Savannah. 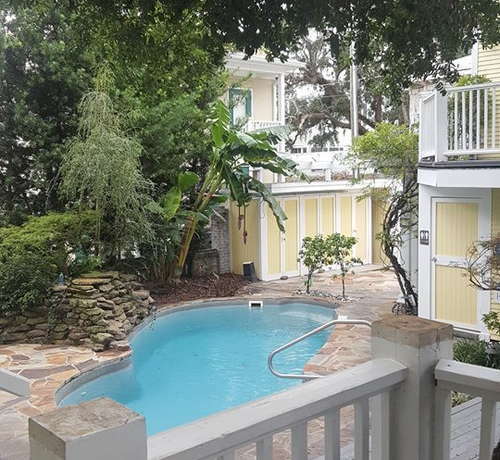 After a long day exploring Savannah in the warmer months, you will appreciate a nice dip in a pool like you never have before. Staying this close to Forsyth Park is always a treat.